The U.S. Navy will name a new destroyer after former Alaska U.S. Sen. Ted Stevens. In a message Friday afternoon, Alaska’s congressional delegation said Secretary of the Navy Richard V. Spencer announced the honor. "It is an honor to help Secretary Spencer announce the naming of the USS Ted Stevens today,” said Senator Dan Sullivan, R-Alaska, in an email announcing the move. Sen. Lisa Murkowski, R-Alaska, and Rep. Don Young, R-Alaska, each offered praise for the decision as well. Congress has repeatedly encouraged the Navy to honor Stevens by naming a ship in his honor. In 2012 and again in 2013, according to accounts by the U.S. Naval Institute News and Politico, the Senate requested that the Navy’s next large surface warship be named after Stevens. 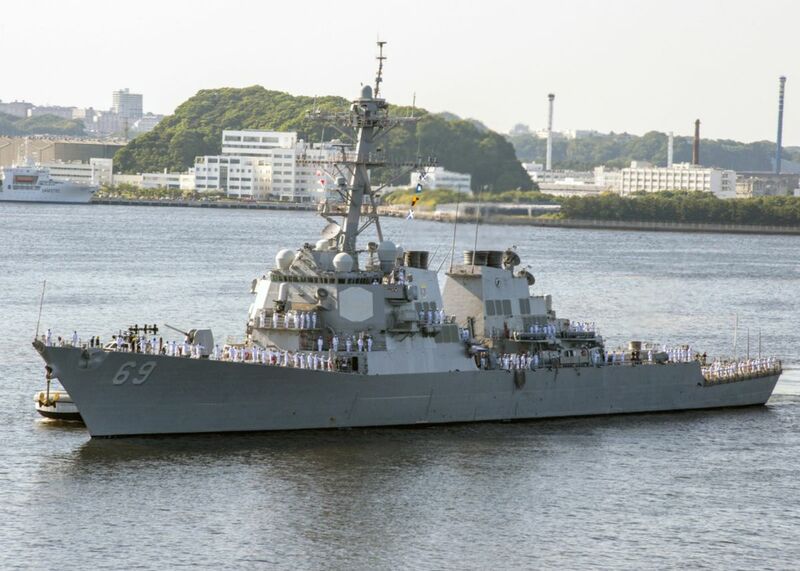 Several other ships were named before Stevens received the honor Friday. In September, Huntington Ingalls Industries announced it had been awarded a $5.25 billion contract by the U.S. Navy to build six Arleigh Burke-class destroyers. According to information provided by the U.S. Navy through the congressional delegation, the Ted Stevens will be constructed at Huntington Ingalls Industries’ Ingalls shipbuilding division in Pascagoula, Miss. The ship will be 509 feet long, have a 59-foot beam and be capable of operating at speeds in excess of 30 knots. The U.S. Navy has 62 Arleigh Burke-class ships in service, with another 14 under construction, according to figures published by the service. Another 10 have been authorized by Congress but have not yet begun construction, according to the U.S. Navy’s vessel register. The Ted Stevens is the first of those 10 to receive a name. Stevens, who died in a 2010 plane crash, was the longest continuously serving U.S. Senator at the time of his death. For 40 years and 10 days between 1968 and 2009, he held one of Alaska’s two U.S. Senate seats. Stevens served in the U.S. Army Air Corps during World War II and flew cargo missions over the Himalaya Mountains. He practiced law and became an advocate for Alaska statehood while serving in a variety of roles for the federal government. He served in the Alaska House of Representatives before becoming a U.S. senator. He was an almost ubiquitous figure in the state’s political life and was declared “Alaskan of the Century” by the Alaska Legislature in 2000. In 2008, he was convicted of federal charges of failing to report gifts. That conviction was overturned after Stevens' defeat in the 2008 U.S. Senate election.